Curtains distributed in different spaces have different functions. The curtains in the hall are prominently decorated, and the curtains that reflect the elegant and generous style should be used. The curtains in the bedroom are mainly practical, and should be shaded to ensure the privacy of the room. The curtains in the bathroom and kitchen should pay attention to the waterproof, oilproof and easy to clean materials. If your living room style is traditionally decorated, then the curtains with heavy large flower patterns are more suitable; if you are pursuing modern style, it is recommended that consumers choose light and elegant cotton and linen fabrics. PVC material curtains have good waterproofing and are suitable for use in bathrooms and kitchens. The color choice of the curtain should match the direction of the room. If the window is east, southeast, southwest, the sun is more abundant, you can hang green, yellow and other neutral cold colors; if the window is facing north, northeast, do not try to warm color tone, such as beige, milk yellow and so on. 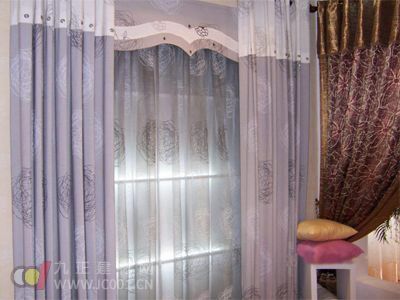 At the same time, the color of the curtains and the color of the interior walls are also worthy of consumer attention. For example, the interior wall is light green, and orange or green curtains can be used to create a calm and peaceful atmosphere. If the interior wall is white or lightly ivory, consider orange-red or sky-blue curtains to create a clean and noble reverie.